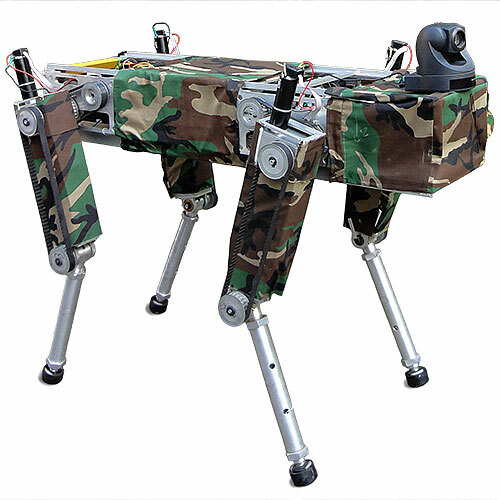 HyQ is a four-legged robot built as a platform to study quadrupedal locomotion. 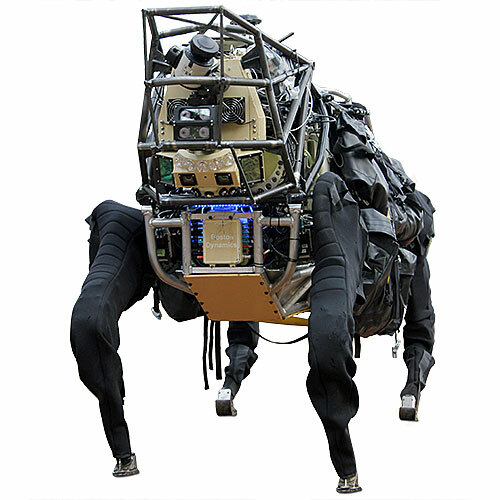 It can walk over obstacles, trot and rear like a horse, squat jump, and even kick things with its powerful hydraulic legs. HyQ is Italy's answer to BigDog. 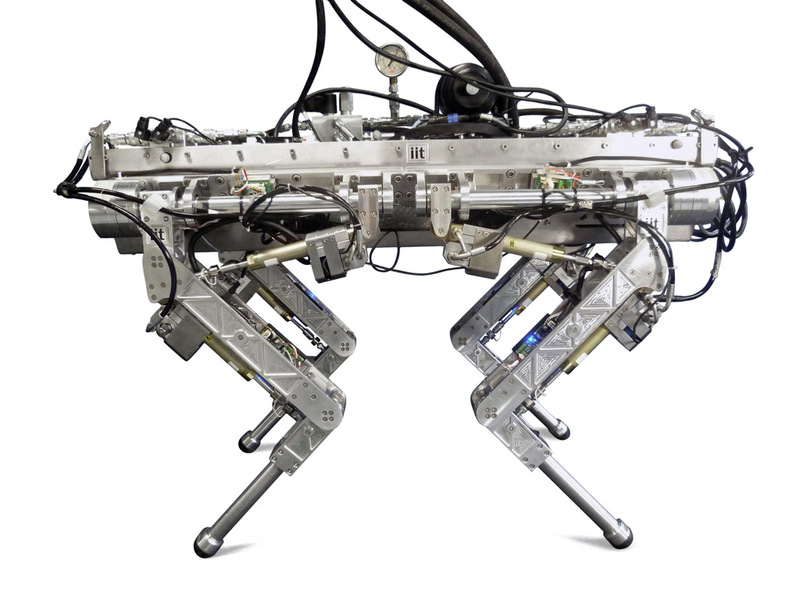 HyQ's legs are powered by hydraulic actuators. HyQ jumps, runs, kicks a box. HyQ runs on a treadmill and outdoors. 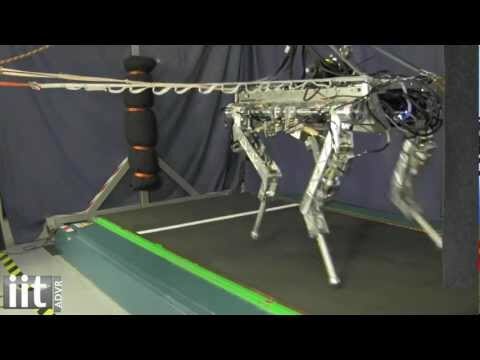 Prototype leg jumps, and then jumps faster. 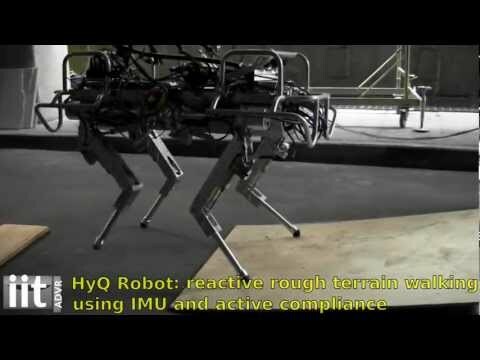 HyQ stands for hydraulic quadruped. 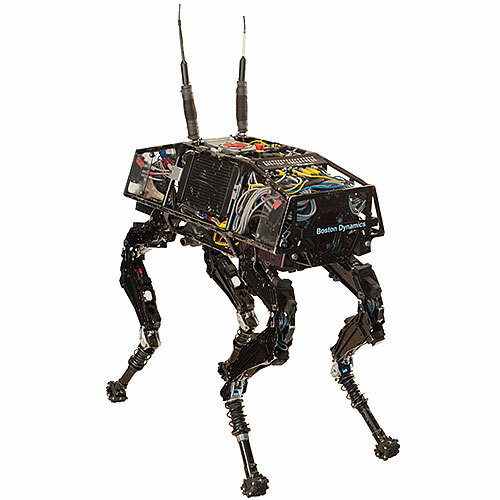 HyQ's creators plan to add a pair of manipulator arms to the robot, in effect transforming it into a robotic Centaur. 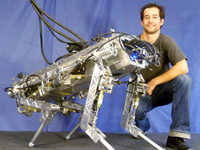 HyQ has its own special heavy-duty treadmill for running experiments. 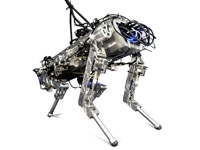 Equipped with torque-controlled legs with variable stiffness. Able to jump more than 20 cm (7.8 in) up in the air and land on its feet. 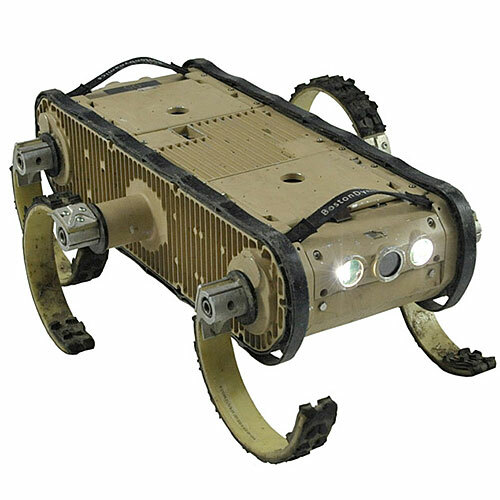 Stereo cameras, laser range finder, IMU, force-torque sensors and high-resolution encoders in each joint. Eight hydraulic cylinders controlled by high-performance servovalves. Four brushless DC motors with harmonic drive gears. PC/104 embedded computer with data acquisition boards. Xenomai Linux real-time OS with SL simulation and control software package. 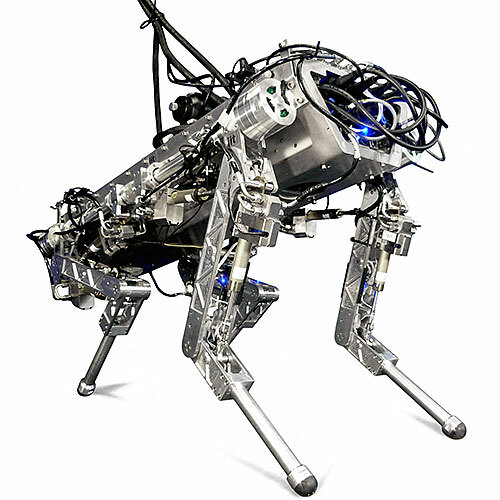 Torso and legs made of aerospace-grade aluminum alloy and stainless steel.